The holiday season is upon us and with it another annual tradition has arrived: baseball’s Hall of Fame debate—although it might be more accurate to call it a melee than a debate. This week the nominees for the Baseball Hall of Fame were announced and the 600-plus voting members of the Baseball Writers’ Association of America (BBWAA) have until the end of the year to select up to 10 of the 36 candidates on the ballot. 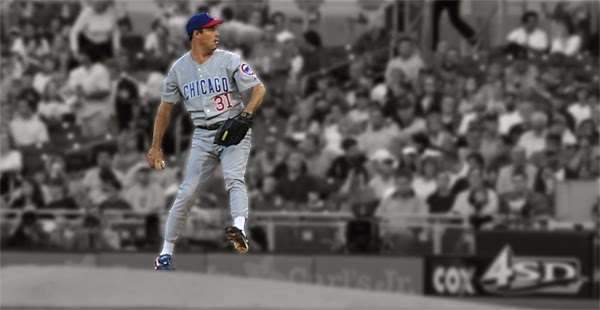 This year there are 19 newly eligible players, including such stalwarts as Greg Maddux and Frank Thomas. But this is where things get tricky. More than 15 players have a legitimate case for Hall of Fame status, but only 10 can be inducted per year. Several of those 15 players have been tacitly ruled out by many of the voters because they played during the 1990s and early 2000s, baseball’s steroid era, and thus are guilty by association (or, in some cases, by admission or proof). Last year, for the first time in history, no one was elected to the Hall of Fame despite several worthy candidates being on the ballot. And this has created a logjam of deserving players that exceeds the available openings. No matter how one views steroids, the steroid era, and the players who used (or may have used) them, two primary reasons exist for this dilemma . . .